Remember that US$80,000 platinum Nissan Fairlady Z432 model that was a one off and not for sale? Apparently there is a market for extremely expensive models of cars that are made of gold, silver or platinum. 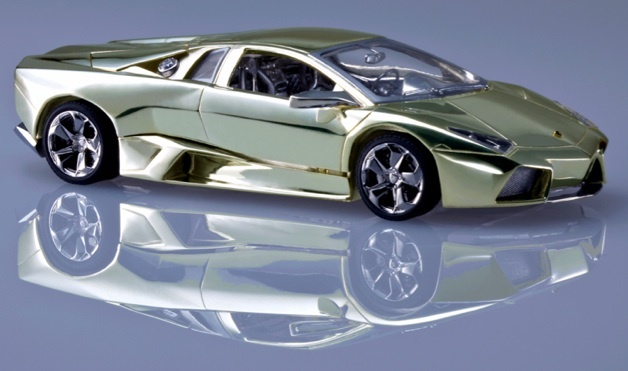 Japanese artist Nori Miyata has launched the Ultima Jewelery line whereby luxury cars and yachts are replicated in miniature scale. The Lamborghini shown above is made of 18k gold and is 1/24 in scale. No idea how much this will set you back though as price is on request. More details here.